Nothing gives as much pleasure as to get recognized for your efforts. 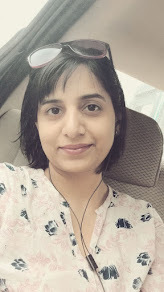 Ever since I have become active again on my blog and started exploring the community, I am getting so many goodwill gestures by fellow bloggers that it fills my day with happiness. It works as such a stress buster in the most dynamic phase of my life. Also, being published is same for a writer as getting high for an addict. Lol. It leaves you desiring for more and acts like a kick. As I get time I am looking for more such opportunity but it is important to me that I get accepted for my honest writing. I can’t sponsor anything that I am not familiar with, just for the sake of getting published. That makes getting circulated a little tricky for me. Nevertheless, there are plenty of opportunities for writers like me and I am exploring all those as and when I get time out of my busy schedule. I am happy to share that parentous, an initiative by BlogAdda, has accepted my request and they will publish my articles twice a month. I loved their site and the articles shared by wonderful parents. Its a one stop point where we can share our ideas, experiences, problems related to our kids. I am thrilled to get this assignment and looks like my dream to become a full-time freelancer is not far. For my first article I have chosen a little personal subject that explains my belief in Joint family system for better upbringing of children. Please read my views here at Why I prefer Joint Family and do comment if you like my thoughts. I hope to get more such opportunities in this world brimming with such interesting creativeness. I really Liked your honest thoughts Roohi :) Keep It up! Congrats on climbing the stairs of the ladder you want.